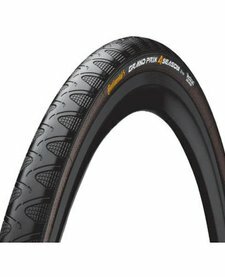 Continental Grand Prix 4 Season Folding Tyre 700c. Available in 700x23c, 700x25c, 700x28c. 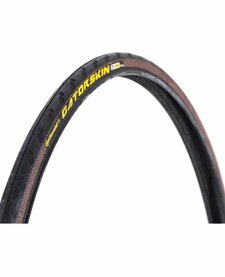 The ultimate all season road bike tyre, the Duraskin layer adds puncture resistance and the Black Chili compound gives grip in all weather. Continental Trail King ProTection Black Chili, 29 x 2.2. Tubeless ready, folding sidewall and super grippy Black Chilli Compound. A great all year Enduro tyre. Continental Gatorskin Duraskin Tyre 700c. The tough, all season road bike tyre, fantastic puncture protection, fast rolling and grippy. Available in 700x23c, 700x25c, 700x28c. Continental Mountain King II 26" x 2.2" Performance Wired, PureGrip tyre. A fantastic intermediate trail tyre, fast rolling and grippy. 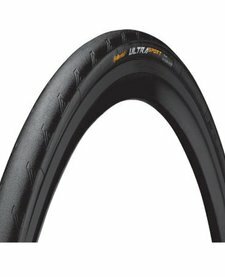 Continental UltraSport II Tyre 700c. Available in 700x23c, 700x25c, 700x28c. A great value, performance road bike tyre for all seasons. 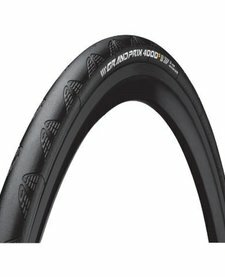 Continental Grand Prix 4000S II Folding Tyre 700c. Available in 700 x 23c and 700 x 25c with a folding sidewall. The GP4000 S II is the flagship road tyre from Conti. Continental Trail King 26 x 2.2" Performance Wired, PureGrip Tyre. 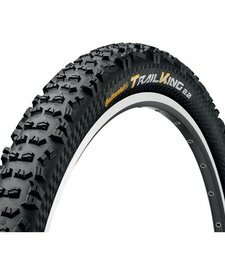 A great all season trail tyre with good bite on loose mud, rock and roots. 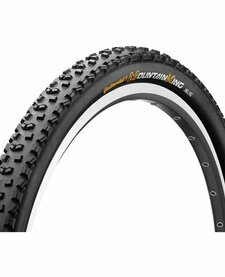 Continental Mountain King II 29" x 2.2"
Continental Mountain King II 29" x 2.2" Tyre. A fantastic intermediate trail tyre, fast rolling and grippy. Available in Performance Wired/PureGrip, RaceSport/Black Chili and ProTection/Black Chili.